Dylan Kotliar is in the MD/PhD program at Harvard Medical School in the Health Sciences and Technology track and the Harvard Systems Biology PhD program. 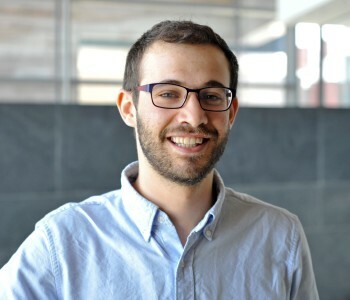 Coming from a background in cancer genomics, Dylan is a graduate student in the lab employing his statistics background to assess evidence for evolutionary selection in the genomes of humans and pathogens. He is a co-leader on genome-wide association studies of susceptibility to Ebola Virus Disease and Lassa Fever. In addition, he has developed a novel computational framework for measuring and quantifying the strength of purifying selection in cancer genomes. Medical education in the United States: do residents feel prepared? Integration of genomic data enables selective discovery of breast cancer drivers. Sanchez-Garcia F, Villagrasa P, Matsui J, Kotliar D, Castro V, Akavia UD, Chen BJ, Saucedo-Cuevas L, Rodriguez Barrueco R, Llobet-Navas D, Silva JM, Pe'er D.
An Integrated Approach to Uncover Drivers of Cancer.